Where do I use my Kitbox voucher code? 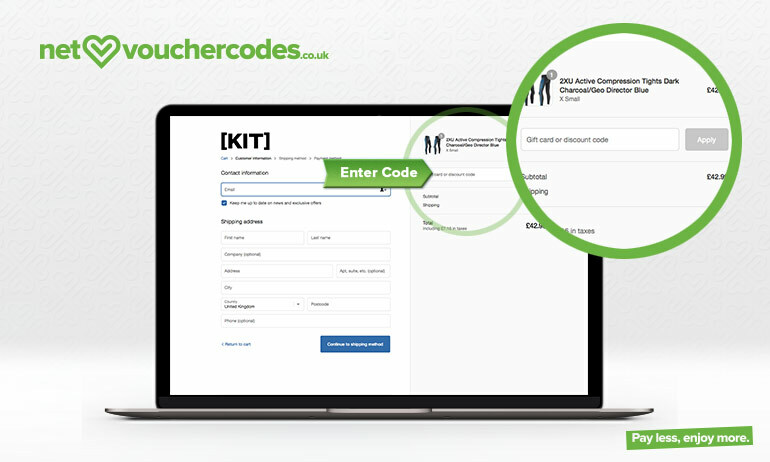 Grab an Offer Code or Discount to use at Kitbox from NetVoucherCodes.co.uk. Copy the code if provided then head to the Kitbox homepage. Browse for items you want to buy and add them to your basket. At the checkout, paste your code into the ‘Gift Card or Discount Code’ box and click ‘Apply’. Select ‘Continue to Shipping Method’ to complete your order. Kitbox is a sporting brand that aims to go beyond the role of your traditional sports gear supplier. With a huge array of clothing, equipment, gear and nutrition, you are bound to find all the sports products you need to aid you in your sporting endeavours or gym workouts. Discover belts, compression wear, footwear, headwear, hoodies, leggings, sports bras, sweats, jeans, pants, outerwear, shorts, socks, t-shirts and underwear for both men and women as well as a variety of nutritional products including supplements, water bottles and shakers. At Kitbox you can also find bags, gym accessories, hand and wrist protection, knee sleeves, belts and support, mobility and recovery products, tape, training diaries, water bottles, shakers and speed ropes from top name brands in the industry. If you’re shopping on a budget you can check out the outlet section where you’ll find huge percentage discounts. And, if you know a fellow sporting enthusiast you could always surprise them with a Kitbox gift card worth up to £100, so they can buy whatever sportswear they want too. 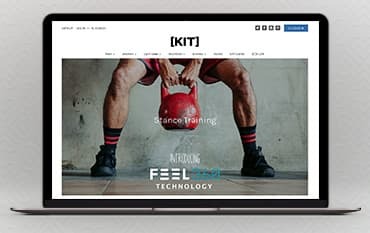 Kitbox has a B[ ]X LIFE section on their website; created to unite the various interests of the Crossfit community into a single hub that provides information on athlete centred events, Crossfit competitions, insights from the community and access to the best kit. The Kitbox mission is to provide the UK Crossfit community with all the resources they need to live their best life and has provided numerous athletes, competitors and even beginners with all the kit and training they could need, allowing them to pursue their sports vision. The exclusive events advertised in the B[ ]x LIFE section gather like-minded athletes and put them to the test with an array of fun and unique fitness challenges. From Ninja Warrior to Swimming WOD, these fitness tests are bound to get your heart racing and adrenaline pumping. Kitbox offers an array of exclusive gear and equipment for stance training. They've taken special care in the construction of their Training Collection, producing the Feel360, a proprietary new fibre technology that revolutionises comfort. They’ve then moulded this unique fibre into socks which have also been designed with an anatomical footbed cushion, a seamless toe box and Y-Gore seam heel design. Stance training socks feature targeted lower leg compression and a structural foot mesh to keep your feet well supported during your stance training. With countless designs to choose from for both women and men, you’re guaranteed style, support, comfort and affordability with the Kitbox stance training range. Whether you’re looking for sports clothing, footwear or equipment you can find all the pieces you need to feel comfortable, stylish and supported during all your sporting endeavours. Whether you’re training on the track or keeping fit in the gym, there are tons of discounted items in the outlet section to help keep you kitted out. Discover trainers, sliders, sports bras, tops, shorts, jackets, joggers, vests and more, for both men and women, in the outlet, all of which have up to 50% off and multiple sizes and styles available. Upon receipt, you have 28 days to decide if you want to return any item within your order. Please email customerservice@kitbox.co detailing why the item is to be returned and whether you would like an exchange or a refund, quoting your order number. 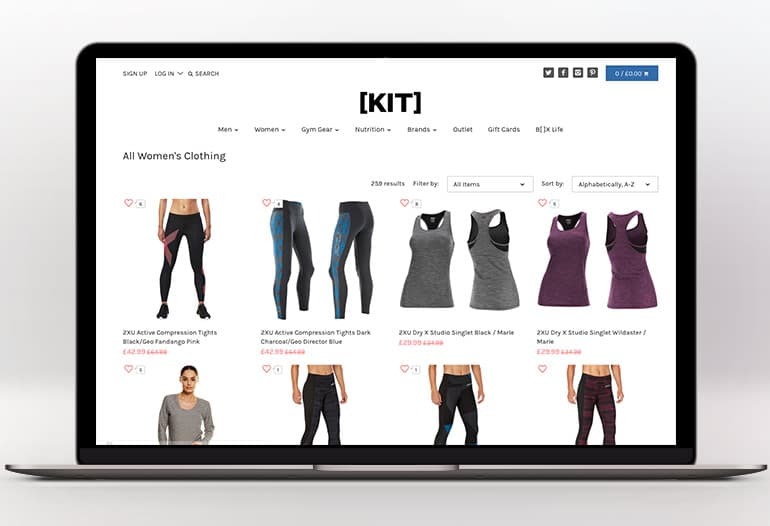 Kitbox is a leading provider of functional fitness clothing, footwear, athleisure wear supplements, and accessories, catering to not only usual, traditional sports but also more obscure sporting endeavours. Shop online with a Kitbox discount code and save money on all your fitness wear and equipment from top name brands like Hurley, Stance, Rogue Fitness, Born Primitive and many more. Whether you’re male or female, a professional athlete or a novice gym goer, you can find all the gym gear and nutrition you could ever need at Kitbox.